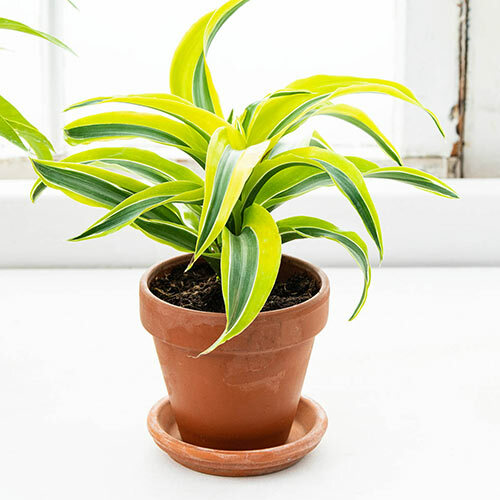 Soil RequirementsKeep the soil damp but do not oversaturate the plant with water. PruningTrim brown leaf tips off as they appear. 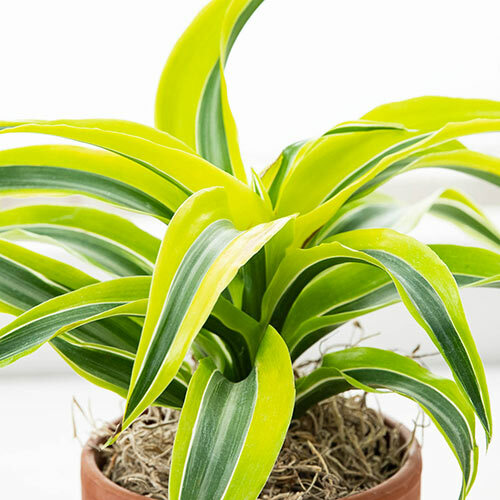 If the dracaena gets too tall, cut anywhere along the central stalk and new growth will appear just below the cutting point. Winter CareMove to areas with more indirect sunlight to make up for the lack of daylight in the winter. Additional InformationMildly toxic to pets. Blooms yellow-white flowers on rare occasions. 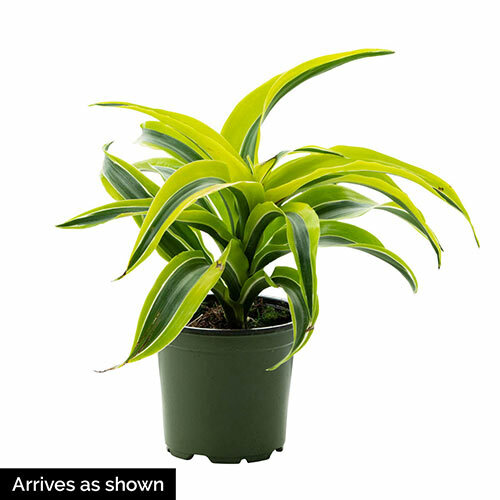 Planting InstructionsKeep the dracaena at soil level when transferring it into a new pot. Re-pot when roots have filled out its current pot.